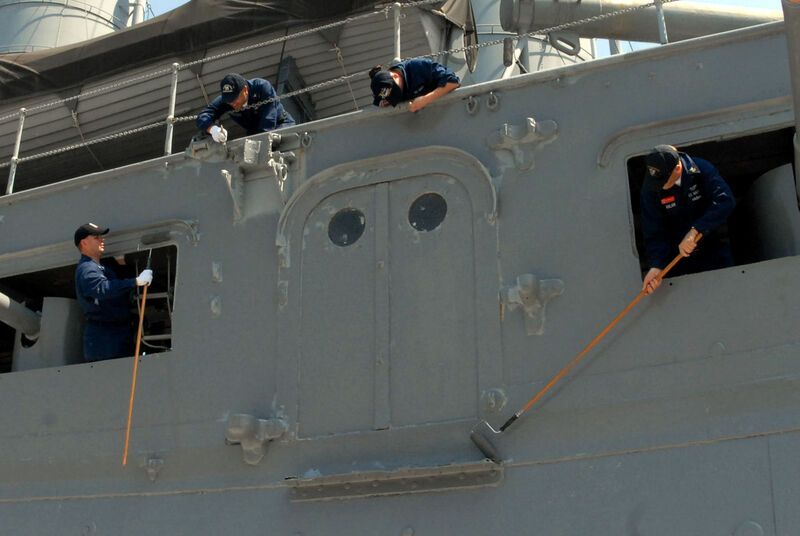 Crew members from the aircraft carrier USS Nimitz (CVN 68) volunteered for a community service project to paint the famed Japanese battleship Mikasa Aug. 25 in Yokosuka, Japan. The Nimitz has a special connection to the Mikasa. 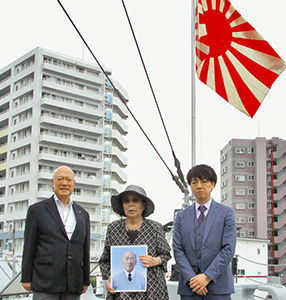 Fleet Adm. Chester Nimitz greatly admired Adm. Heihachiro Togo, the "victor of the battle of Tsushima", who defeated a Russian fleet from the flying bridge of Mikasa.